http://Lizzy11268.booklikes.com Liz Loves Books.Com. 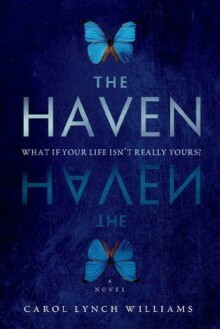 3.5 The Haven - Review. text The Haven - Review. That is such a mysterious and simple cover. And it sounds like pure awesomeness!I just hope this won't be another predictable, let-down dystopian. Please Williams! Be different from all the other clones in the genre!But, seriously, that cover and synopsis are totally intriguing.